I stand here in this room listening for any sounds at all. Nothing. Dead silence. I do hear echoes from past rants and raves, parties, fun, news casts, but all is quiet now. The room is dark, but a little light comes in from the hallway where there are thousands of lesser doors. The bit of light sneaking in behind me shows confetti, glitter, tissues, and even candy lying on the floor as a reminder of the phantom cheers and cries of the characters that are normally here. There is a table near the podium in the corner covered with sheets of paper that contain words—happy words and lonely words, funny words and mad words, velvet words and loud words. Where are the characters that inhabit this room? There was someone in here not long ago, but they are all gone now and the silence is deafening. At critique group the other night I presented a story. The first part was good and the second part was good. Somewhere between the beginning and the end the connection was lost. My group couldn’t make the leap across the great divide I had created. They said I needed to cut off the fish head and use it in another story. I believed in my thoughts, but even I could see where I missed the mark. This story would be understood by my target audience, but I wanted to reach so many more than just those who had a bull’s eye on their heart. So back to the drawing board I went. I copied and pasted, revised and restored over and over again. I took myself out of the equation and found a way to link the first paragraph to the last sentence. I totally focused my direction to the best of my abilities. And believe me this is a very hard task. When I read my words out loud as I started to rework the piece I was well aware of the message I wanted to convey, and knew it was IN the body of my work. I believed in myself and what I wanted to share very deeply. But if I couldn’t change it enough to make it readable the whole experience would be lost. You can take as many creative writing classes as you want and read as many books on writing as well. But at some point in time you have to get down to business, and just as importantly you also have to pay attention to the advice of those around you. A critique group is valuable on so many levels. One, is that they understand you. Each story is unique, but the writer’s signature is the same whether writing of the horror persuasion or historical romance. Critique won’t change how you write the story, but instead will help to strengthen and clarify whatever is being written. Again, they know you, and your difficulties, but guide you past these roadblocks. 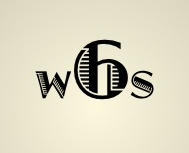 I thank my Wordsmith Six group for all they have done for me and my writing career. They helped me to believe in myself and stand beside my writing. But to see it through the eyes of others is priceless. I know that if anything is ever published that my group will have seen the foibles and problems and help me fix it before it goes out into the deep blue sea, fish heads and all. I love television and the movies. I’m a big fan of drama, but sometimes I just can’t believe some of the scenarios. For example, many veteran police officers state they’ve never drawn their weapons. Yet nearly every cop show has the lead characters drawing their guns before they identify themselves. How about the doctor and nurse who make goo-goo eyes at each other across the gurney as they rush a critical patient into the emergency room? As soon as the patient is stable, they dash off to the nearest empty exam room for a little R&R. Then there’s the court room. I loved the way Jack McCoy (Law and Order) would badger a witness until the poor fool fell apart. He’d twist words, made inspired observations and judgments in an effort to trip up the witness. Now I’ve served on civil juries, criminal trials, and municipal procedures and never witnessed such actions. In fact if we were to follow policemen, doctors, and court proceedings, we would describe their normal activities as Boring. There’s a lot of hurry up and wait in these professions. It’s no wonder writers jazz it up a bit. If we were true to the jobs, no one would tune in to the television show, buy the movie ticket, or buy the book. Getting the reader to suspend disbelief is a challenge. It requires the writer to first convince himself that it could happen. Then he must make the viewer or reader believe it. Careful crafting of the characters goes a long way to making the never happen believable. If we identify with the sheriff, if we can feel his concern for the victim, then we will buy the drawn weapon. A sleazy defense attorney makes us root for the victim and the victim’s family. A tired, overburdened ER doctor just might seek some comfort after trying to save a child injured in an auto accident, only to lose the battle. By focusing on the character’s motivation and both the sterling qualities and the less than admiral characteristics, the writer creates dramatic scenes that allow us to overlook the unrealistic and become involved in the story and the action. Every writer must develop this skill. As for me, I’ll tune in to CSI New York and watch Mac’s team solve the crime in an hour even though I know it really takes weeks to get test results back. Then I’ll catch a rerun of Law and Order just to hear Lenny Briscoe’s wise cracks and watch his violations of civil rights. After that, I’ll put my feet up and accept the courtroom performances of the gangster’s lawyers as they lie, steal, bribe, and murder their way to an acquittal. I’ll enjoy every minute of it because, maybe, just maybe, it could happen that way. Thesaurus – No, it’s not a dinosaur! A Thesaurus is often one of the most undervalued books in a writer’s library of tools. To communicate with our audience of readers, we need to use any legitimate aid to help improve our literary product. Compile a list of words that relate to your subject or theme before you begin writing. This will give you a good start and help prevent writers block. You can also access slang items, Colloquialisms, foreign phrases that may move your writing along. When using a Thesaurus, Slow down. Read the entire list of words slowly and out loud, replacing them one-by-one in your sentences. By doing this, you are more likely to pick the most appropriate word for your writing. The Oklahoma Writer’s Federation Inc [owfi.org] sponsors a conference the first weekend of May every year, offering informative sessions for writers of all levels. Around 300+ people attended the conference in Oklahoma City this year. They also offered a contest with opportunity for cash prizes and helpful critiques. My middle grade western took 2nd Place in this year’s OWFI Contest! The aggravating news is that I had a typo. On my manuscript I had the date 1887 and on my synopsis I had 1897. How many times did I read over that submission? It doesn’t matter how many times, obviously it wasn’t enough times. The sessions were excellent and as always, I come back home armed with something new about story craft and inspired to work. The social media panel at OWFI 2012 this year included C. Hope Clark, Jan Nipps, Lela Davidson, and Adrian Carenza with a wonderful job moderating done by Amy Shojai. Each of these writers have impressive numbers of blog fans and they shared some interesting, insightful facts about social media. The most amazing aspect about social media, as pointed out by Clark, is that ten years ago authors didn’t have this medium to promote their work. All agreed that it’s an exciting time to be a writer. The main misconception is clarified; it’s not about “me, me, me”. The general rule is to use 1/3 of your posts on links to interesting articles, blogs, or things you’ve discovered (these can be automated), 1/3 can be retweets, as in do unto others and help them with promotion of their books or blogs, and 1/3 should be real-time conversation. Sprinkled within that mix would be posts about you and your work. The reader wants a “take-away”. Don’t waste a reader’s time with what’s in your crock-pot unless you include the recipe. Sure, social media offers amazing and low cost opportunities to promote yourself and your work, but you don’t want to bash in everyone’s head with a hard sell of you. Be gentle, be kind, be aware of what you’re putting out there for potentially millions of people to see, FOREVER. Each of the panelists were adamant on one point: they do not talk politics or religion. Everyone has an opinion today, and some topics definitely push people’s buttons and emotions run very high. As authors, we’re trying to sell a body of work and create a fan base. We hope that people will buy our books or read our articles again and again for many years to come. In the world wide access of social media, you might have followers that are atheists, Wiccans, Baptists and you probably have followers that side with the Left, or the Right, or feel neutral on anything relating to politics. Why would you want to create negative or hurtful feelings in your potential readers? Why would you want to offend anyone? The exception would be if you have a political or religious blog. Then yes, you want to push buttons. You want to have those heated discussions with people who feel strongly enough to post comments. Use your best judgment and consider that the ideal place to air your opinions for sensitive topics may not be your blog or Facebook or through snarky Tweets. Design your social media promotion efforts based on your interests. Of note, Pinterest has become the second highest referral after Google and topped Twitter for outgoing links. All panelists agreed that at the very minimum you should start with a blog and twitter, but be consistent. The second best way to get involved is to leave intelligent comments on other people’s blog and leave your name in the comments. Think about using Goodreads to connect with readers who enjoy the same genre you do. As an author, you can set-up boards on Pinterest to showcase your book covers, pictures of hobbies, and locations of settings relating to scenes in your book. I think the best comment came from Lela Davidson [leladavisdon.com], who reminded us that in today’s publishing environment having a book is not the be all, end all of a writing career, because who knows what the “book” is going to be in the future. A writing career today encompasses so much more. She encouraged us to be receptive to all forms of social media and pointed out that a directed, planned approach is the most effective in the long term. Authors were never able to reach the numbers of people we can today. Take advantage of all opportunities and become a person who is reachable. Know your target audience and connect with the people who will want to buy your books. He stood in front of me with a sad look on his blotchy teenaged face. He didn’t speak at all, but I could see in his eyes he had plenty to say. I held his hand and promised that I would get his idea out to the world; in return, he allowed me to torture him. I wrote my new character’s story. The point of view was unconventional but effective. His words were deeply ingrained in the sequence of events I put him through. Happy with the outcome, I allowed my character to rest from his troubles and pushed the “submit” button. What came back to me was a disappointment. THEY didn’t want the story of my thwarted young man. His story didn’t fit their needs. I immediately felt a stinging in my eyes. I had made a bargain: his promise to allow me to put him through the fire and my promise to get him to the public. I opened my computer browser, did a search and found another public place to send my story. One of my favorite jobs was my five year stint with the Disney Store in Amarillo, Texas. I hired on as one of the original cast members in 1995. Disney training and environment is top notch. Cast members are given every tool to provide the guests with the ultimate shopping experience. Rewards and recognition is a staple. I own a number of awards and prizes for guest service and sales. Webster’s New Collegiate Dictionary defines Figment as something made, fabricated or contrived. With all due respect to Mr. Webster, I prefer to think of a Figment as something that sparks the imagination. What does Figment look like? Is it cloth, stone, or metal? Short or tall? Does Figment have eyes, ears, a nose, and a mouth? The truth is Figments come in all shapes and sizes. It’s the drop of dew on a rose petal. Or snow blanketing the trees and the lawn. Or it’s a baby’s smile when he hears mama’s voice. Look around your home or office and you will be surprised at all the Figments living there. For me, it my Charlie Brown doll, my Captain Hook watch autographed by the character’s animators. What about my pewter frog wearing a prince’s crown that reminds me you sometimes have to kiss a few frogs before finding the prince. My jewelry box is full of Figments from the jewelry I inherited from my mother, gifts from friends and family to my Celtic cross made from silver recovered from the Atocha. Even my stuffed Puff the Magic Dragon evokes thoughts of being the eternal child. As you find Figments, consider how they will work into your writing. Puff could be the guy that refuses to grow up. Instead he forever plays childish games. The silver rattle given to your baby could be the identifying factor for a character in a mystery novel. My white, dew-kissed rose is a gift from a groom to his bride symbolizing true love. And it works all because they are Figments of our imaginations. Are you stuck in the middle of your story and can’t decide where to go next? Unsure about your character’s motivation? Maybe you need some spin off ideas from your finished novel to move on to your next WIP. Organize a brainstorming session at your next writers critique group. This is a tool often used by business managers. When I worked as a human resources director, part of my job was to plan employee events. I’d invite a few people from each department and we’d brainstorm ideas for the coming year. Everyone could speak out and make suggestions based on the first thing that came to mind and I’d take notes. In no time I had a list of ideas for places, events, and possible dates. Writers can utilize this tool as well. A list of edits from my super agent included the need for one more episode before the climatic scene near the end. I had a solid story arc, but it needed work and I needed one more intense scene for the main character. My writers group was very familiar with the story and characters, which by the way, is reason to find compatible critique partners and stay with them. Their input is so much more intuitive when they’re familiar with your complete body of work. I prepared a chapter grid for my group as follows, which I’ve listed headings and one example. With a red dry erase marker in hand, I listed the two ideas from my agent first. This gets the creative juices flowing in the group. I asked for ideas of a scene before the climatic scene, and told them to speak out no matter how crazy. The thing about brainstorming is that creativity begets creativity. One person’s idea will trigger an idea for you, and so on. In a short time, I had a white board full of possibilities which seemed amazing since I’d spent an entire week worrying and pondering over what to do. When I started writing, I discovered several of their ideas combined into one scene. I had to add a few elements early on in the story to tie it all together. The whole process turned out to be fairly painless. My current work in progress is set in 1887 Texas featuring a wonderfully spirited eleven year old named Silver Belle. I’m so excited to think that she might be on the bookstore shelves one day. And thank you awesome wordsmithsix partners. Lucky me for being a part of such a creative and inspirational group!